Available for $13.72 through Amazon or $15.88 through 8th House Publishing. done in the name of Emily? while family waited for us to eat a holiday meal. Each poem of Demaree’s fourth book can most definitely stand on its own without the others; the texts are beautifully lyrical and a narrative of their own, yet they collectively guide the reader through a story of everyday people in everyday situations by using common themes, imagery and language . Demaree passes the sometime hollow ache and velvety warmth of life’s pedestrian moments, through a sharp yet tender lense; he has the capacity to transform the temporal into ethereal, and the result is a superbly crafted incantation praising the richness of the commonplace: the art of people watching. 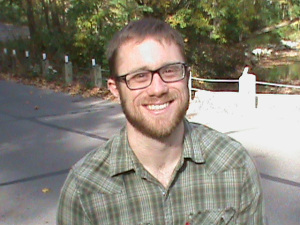 Darren C. Demaree is from Mount Vernon, Ohio and is the recipient of five Pushcart Prize nominations. Darren is the founding editor of AltOhio and Ovenbird Poetry, as well as the Managing Editor of the Best of the Net Anthology. He currently resides and writes in Columbus, Ohio, with his wife and children. 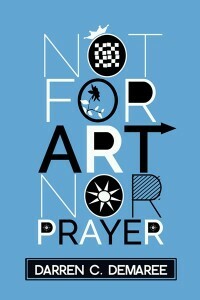 Not for Art or Prayer is his fourth collection of poetry. We previously reviewed his book Temporary Champions.